Everything is made in Kauri timber. The church looks modest, but it is beautiful craftsmanship. 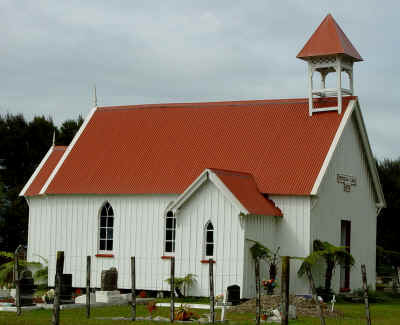 Ripeka Tapu Church (Anglican) at Waiparera was the first Anglican church to be built in the Hokianga, and its construction dates to the 1870s. Maori religious observance in the Hokianga in the nineteenth and twentieth centuries followed the pattern established by the first Christian mission stations, with the northern Hokianga becoming predominantly Catholic, based on the mission at Purakau, while the southern side had many Methodist settlements emanating from Mangungu. 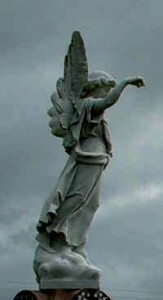 The little angel in the grave yard makes sure that all is kapai (OK)in maori language). While the Anglican Church Missionary Society (CMS) missionaries were content to leave the Hokianga to be proselytised by their Wesleyan colleagues, Anglican missions were spreading elsewhere in Northland. Panakareao, an influential Te Rarawa leader from the Kaitaia area became a convert to Christianity, and travelled from village to village in the north converting many northern groups to Anglican Christianity. Thus while many Te Rarawa of Hokianga became Catholic through the influence of the Marist and subsequently Mill Hill priests based at Purakau, some Te Rarawa in the northern Hokianga became Anglican through the influence of Panakareao. 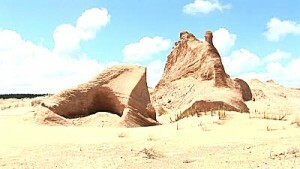 The sand dunes of Rangi Point are very well known to locals and tourists. They are much admired and frequently visited by locals and tourist. Access can be gained from the South side by boat across the Hokianga Harbour with the Hokianga Express leaving from the wharf in Opononi, and also on land from Mitimiti (15 km drive along beach). It was at Totara Point where the first Catholic Mass was held in 1838. Spiritually significant to local Maori, the North Head Dunes are natural wonder. The area contains an array of interesting features, from sacred areas that visitors are asked to respect, to huge sand sculptures and massive sand canyons. A gallery of natural erosion, a world of shifting sands, wind scarred bluffs and delicate temporary overhangs. From the summit of the dunes is a limitless vision of the coast line and the Tasman Sea. It is in its own unique way it is also one of New Zealand’s spectacular and memorable landscapes.